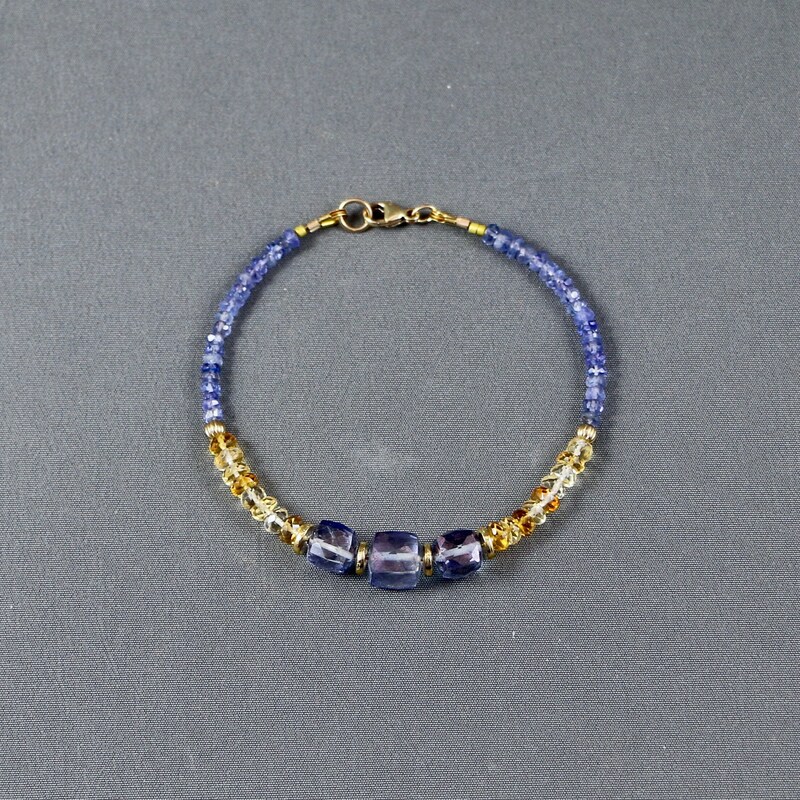 Everytime I look at this bracelet, I feel a rush of happiness. 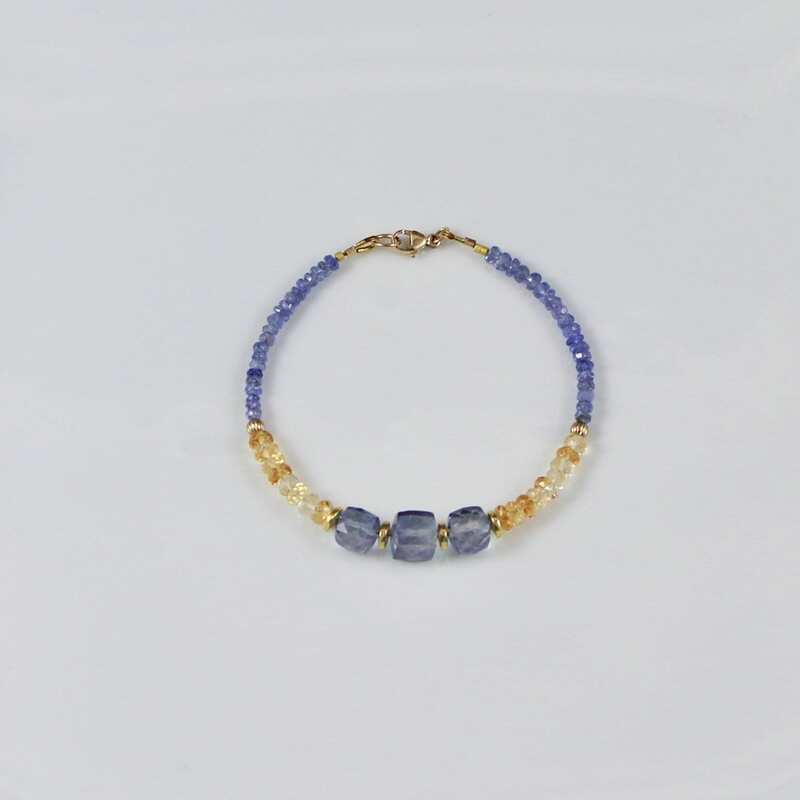 The beautiful sunkissed color of Citrine is the perfect compiment for the mystic hue of the periwinkle Tanzanite and it is just simply makes you happy! 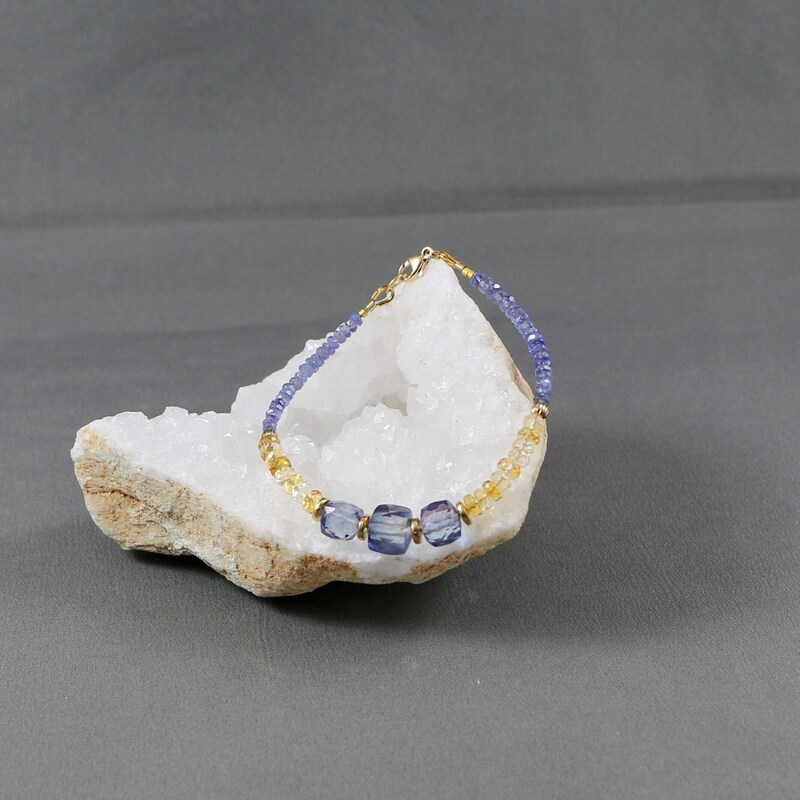 The focal point is the trinity of some amazing stunning faced Tanzanite cube gemstones accented with 14kt gold-filled componets and of course, the beautiful Citrine and Tanzanite faced rounds.